MIE Mobile Warehouse ™ is a warehouse management application that allows you to control inventory, receive and ship items, select items from a pick list, and clock in and out of timesheets. 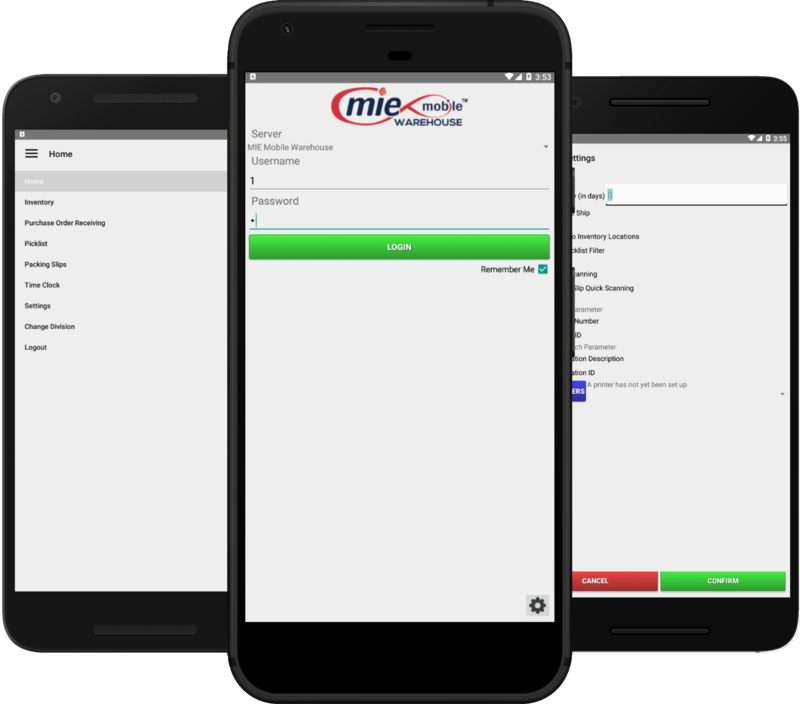 The app provides an intuitive and easy to use graphical interface that communicates with the new MIE Platform, a web-services platform offering the same technical framework as MIE Trak Pro. With MIE Mobile Warehouse™ MIE Trak Pro users are now able to manage their warehouse anywhere, anytime. MIE Mobile Warehouse™ is an Android app and is available now.